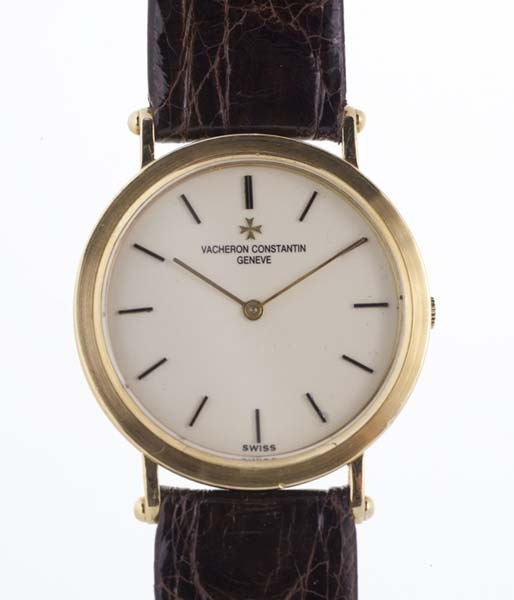 Home/Shop/Vacheron Constantin/Vacheron Constantin with exotic lugs and thinnest movement. 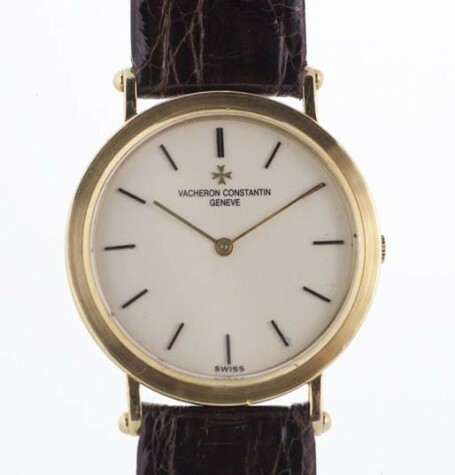 Vacheron Constantin with exotic lugs and thinnest movement. 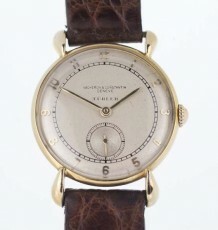 18K gold Vacheron Constantin with deuxieme movement, the thinnest mechanical movement made at the time. 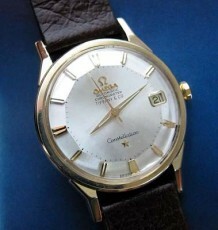 This is a great dress watch from one of the most respected manufacturers in the history of watchmaking. 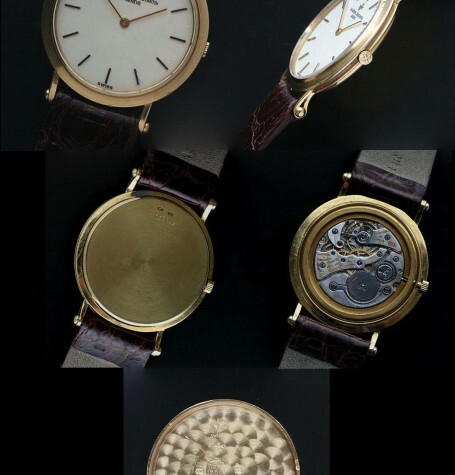 The solid 18 karat gold case features a wide flat bezel surrounding the all original dial. 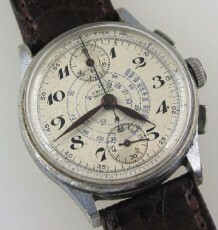 The lugs that extend off of the case are split through the centre and are rejoined at the end where the spring bars are fitted. 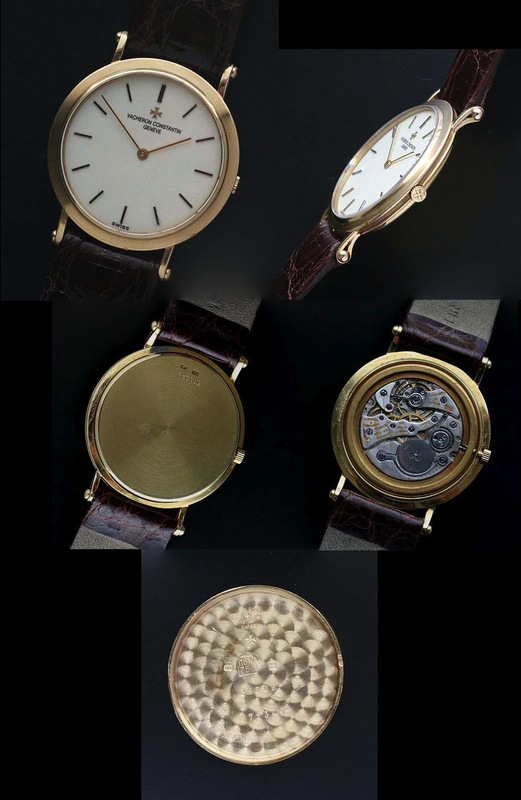 This configuration is similar to the famed Patek Philippe Officers watch, only more dramatic given the cut outs in the side profile of the lugs. 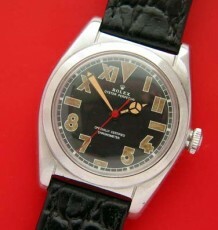 The watch measures 32 mm wide by 38 mm long and is supplied on a brown Crocodile strap.